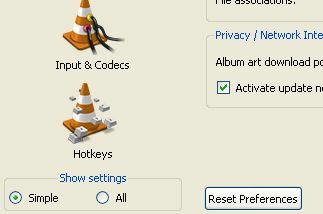 How-To scrobble tracks to last.fm using VLC Media Player? 3) In the window that opens, select All from the Show Settings option tag. 4) A menu-based options side bar will show up in the same prefernces window. 5) Select Interface > Control Interfaces > Audioscrobbler from the left menu. 6) Now key in your Last.FM username and password and click on save. 7) Restart VLC and you are done. 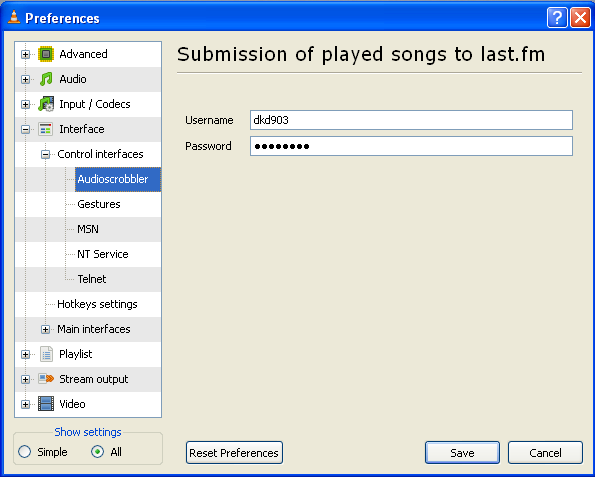 Linux users can look here to set the Last.FM audioscrobbler on their machine. In case you want to set audiscrobbler from VLC in linux too, the steps required are same as above. Happy scrobbling. You can check out our profile at Last.FM, who knows you may have the same taste in music as we do. Related: How to scrobble tracks to Last.FM using RealPlayer?